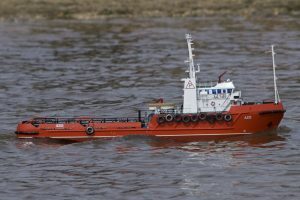 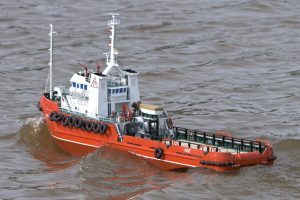 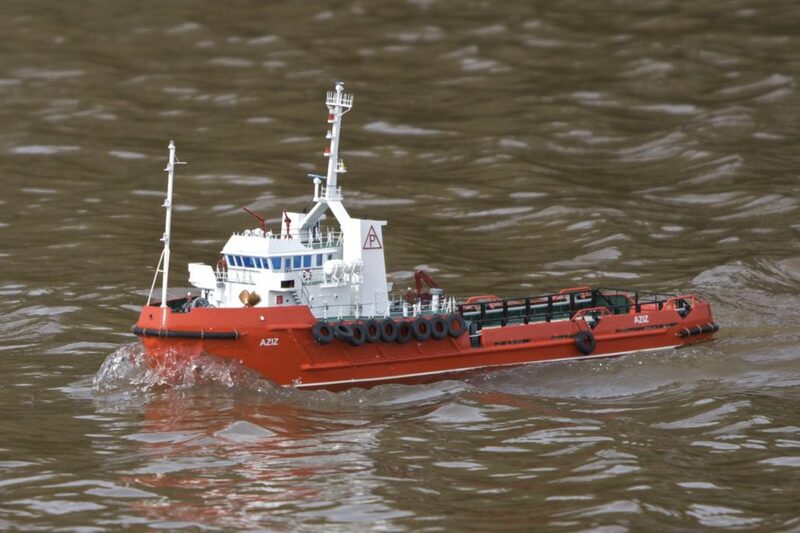 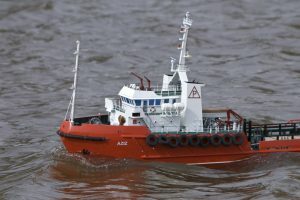 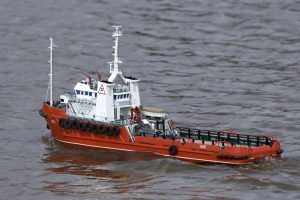 Aziz, Anchor handling/Supply vessel; Model: Dennis New. 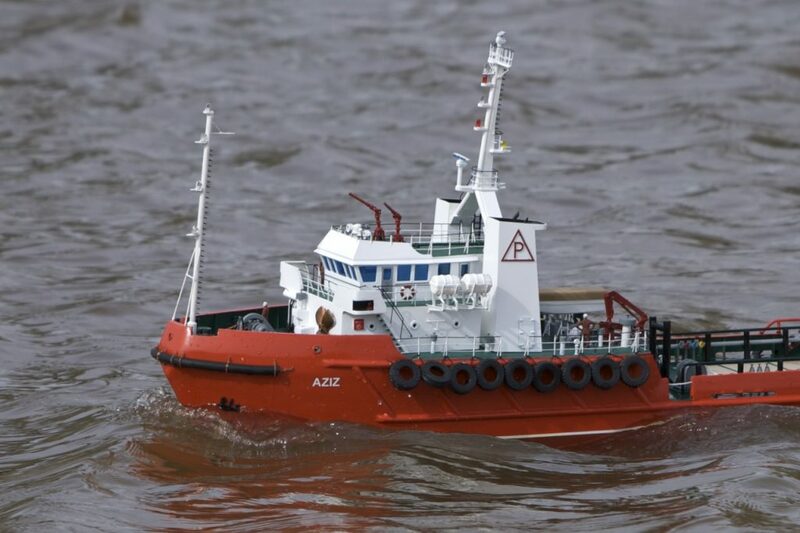 Aziz, Anchor Handling Tug / Supply Vessel. 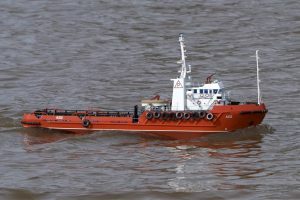 Built for worldwide operations to service and tow drilling units, and support production platforms, Aziz and her sister ship Arif were commissioned in 1983 for Prince Offshore of Sharjah, United Arab Emirates. Powered by two diesel engines, total 4200 BHP at 600 rpm, with fixed pitch propellers running in Kort nozzles. 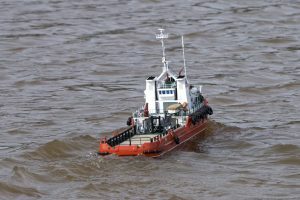 Maximum bollard pull: 52 tons. 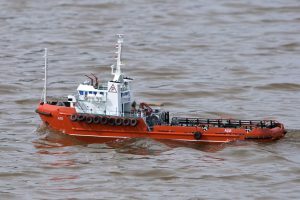 The main feature of their deck machinery is a double-drum waterfall type anchor handling/towing winch, 120 t. pull, diesel driven. Two 3.1 ton capacity tugger winches are fitted behind the superstructure one on each side of the cargo deck and a 6 t. electro-hydraulic deck crane is located on the boat deck for cargo handling. 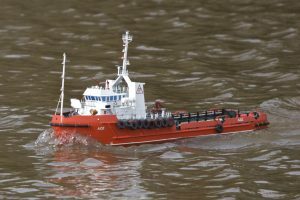 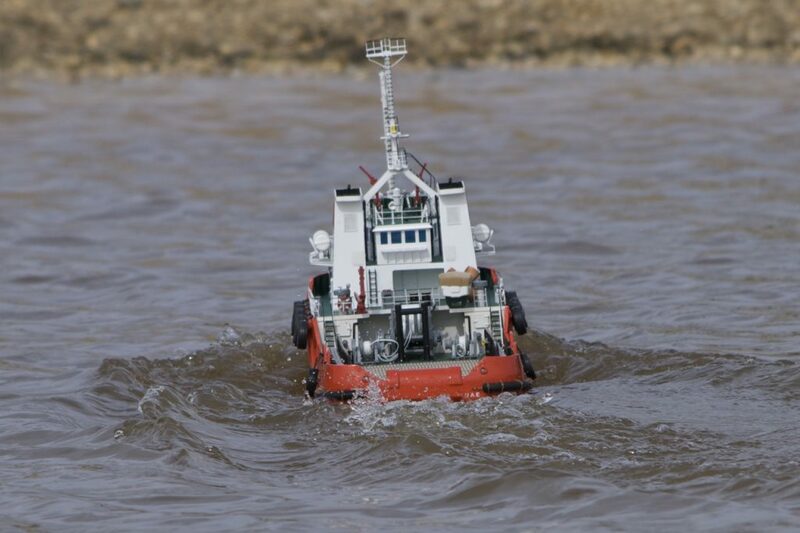 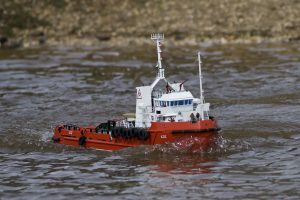 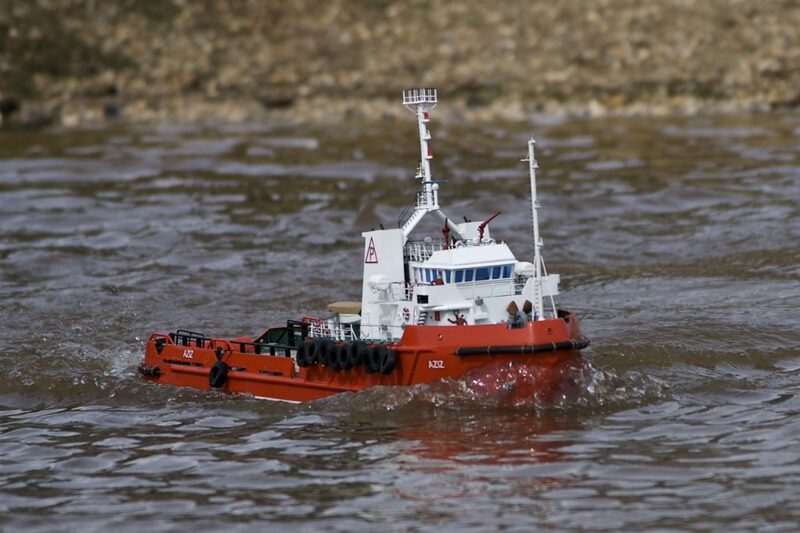 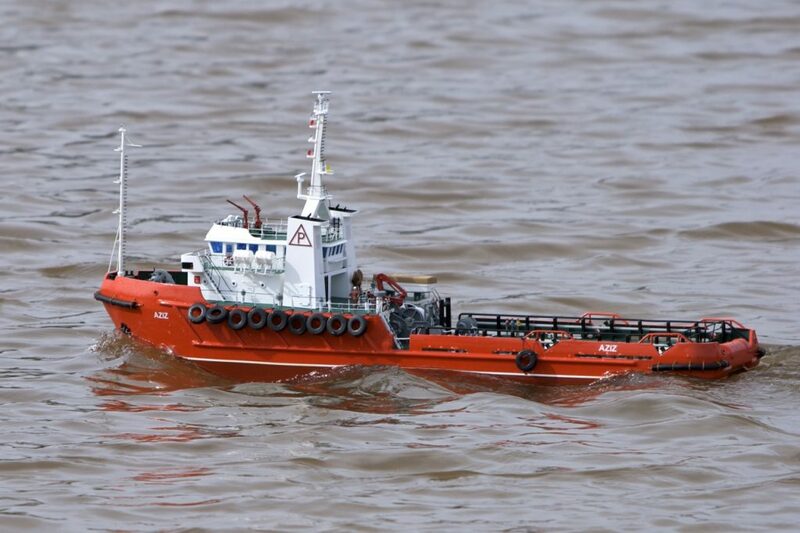 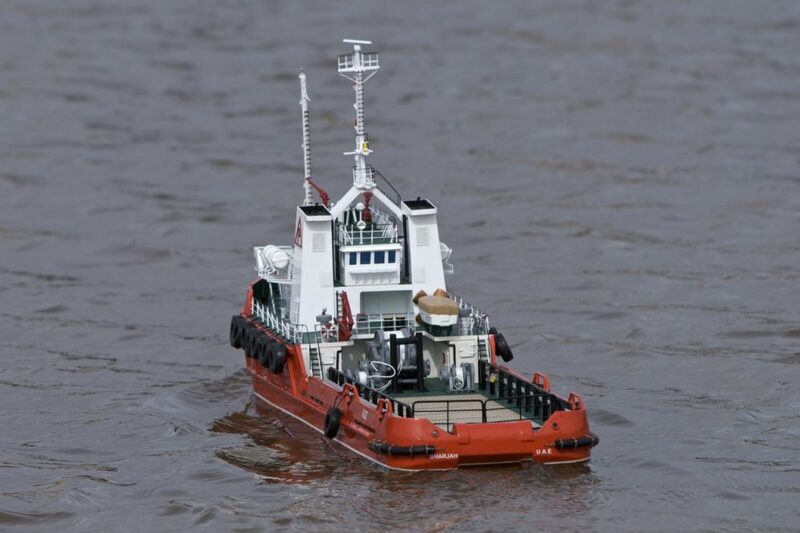 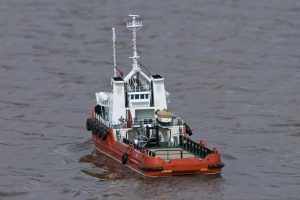 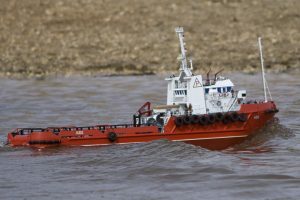 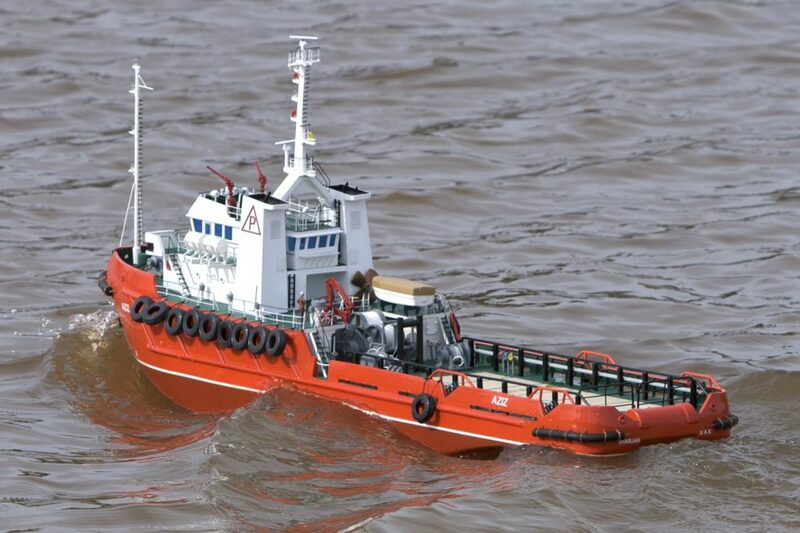 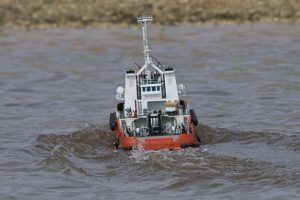 Kit: Model Slipway, scale: 1:50; model: Dennis New.